and the soul heals with JOY. 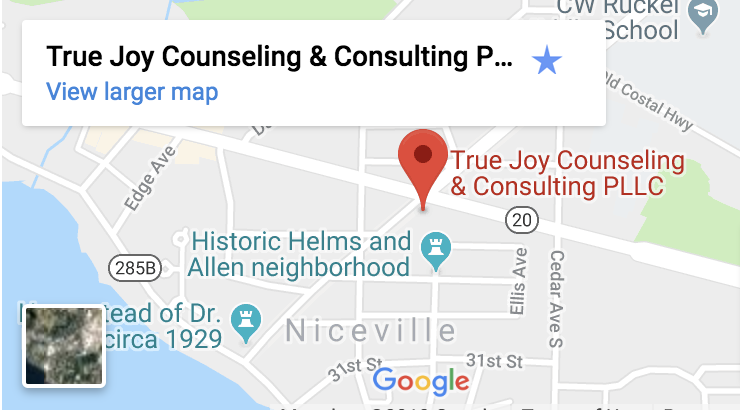 True Joy Counseling & Consulting is a private practice psychotherapy group of Licensed Mental Health Counselors and Licensed Clinical Social Workers offering services at two locations in Niceville and Miramar Beach, Florida. Our diverse team comes from a variety of backgrounds and disciplines including academia, military service, substance abuse treatment and child welfare organizations. This allows our practice to serve our patients with specialties that meet their needs, ages and backgrounds. Another way we meet our patients’ requests and needs is by using a HIPAA compliant telemental health service platform that makes seeing our providers even more convenient and accessible. Contact us today to Discover Your True Joy. 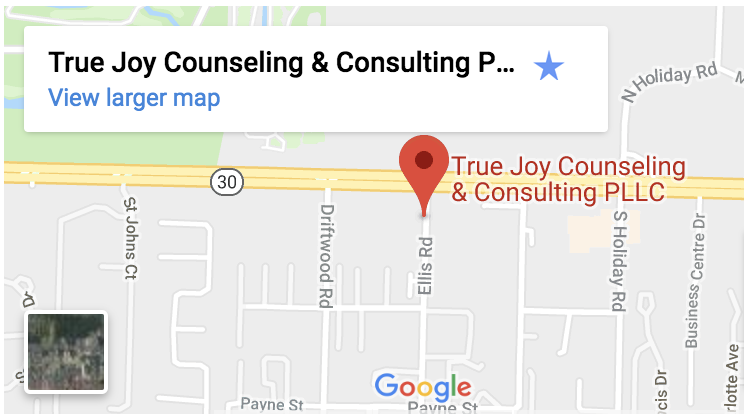 Most of our True Joy Counseling clinicians and staff are military veterans, spouses and family members giving us unique, compassionate and specialized support for the mental health needs of our community’s growing military population. In addition to our life experiences, several of our clinicians are certified by the PsychArmor Institute as Veteran Ready Healthcare Providers. This prominent corporate partnership and clinical certification demonstrates a strong commitment to providing America’s heroes and their families with the best possible care available. More information on Tricare and Veterans Choice Program.